Born in Russia, Boris Lysenko started his professional musical education at the Special Music School for gifted children affiliated with The Leningrad/St. 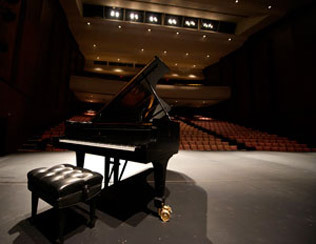 Petersburg State Conservatory. At the age of fifteen, he was accepted in Berlin Hochschule für Music, where he was studying with distinguished German professor, Richard Rössler. Boris Lysenko graduated with honour from The faculty of Piano, and obtained The Doctor of Music degree from The Leningrad State Conservatory. His long time teacher was famous Russian pianist, Professor Natan Perelman. After his GRADUATION, Boris Lysenko was accepted as a piano teacher at the Special Musical School, and later as a piano professor at the Leningrad Conservatory. He taught at the Conservatory for twenty years, eventually becoming the Chairman of the Piano Department, meanwhile also having the position of Vice-President at the Leningrad Conservatory for twelve years. Boris Lysenko enjoyed great popularity as a piano soloist and performed extensively throughout the USSR and some European countries. He also played with numerous orchestras in Russia, including the famous Leningrad Philharmonic Symphony Orchestra. He has made numerous records on the radio and television. Boris Lysenko was a member of Juries International Piano competitions (Leipzig, Prague). In 1980, Mr. Lysenko emigrated, with his family, to Canada, where he continues a busy schedule of teaching, performing, adjudicating, conducting master classes in Toronto and different regions of Canada. His Toronto concerts drew an enthusiastic response from the audience and the press: “Pianist shows signs on greatness”, “An imaginative colorist with a powerful sound”, “And exceptional ability to communicate in quiet reveries” (The Globe and Mail). In 1981, Mr. Lysenko was invited to teach performing piano students at the University of Toronto, and in 1986 was appointed Adjunct Professor of the Faculty of Music, University of Toronto. At the same time, he was accepted in teaching at the Piano Faculty of Royal Conservatory, and later on, Glenn Gould Professional School of Music. Many of Boris Lysenko’s students have won prizes at the international, national and regional piano competitions, they have also worked in prestigious music schools, universities, and conservatories, in Canada, US, and European and Asian countries.